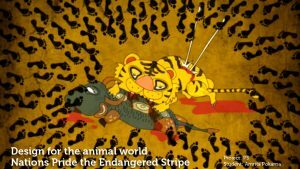 Any reason for taking up this specific project? 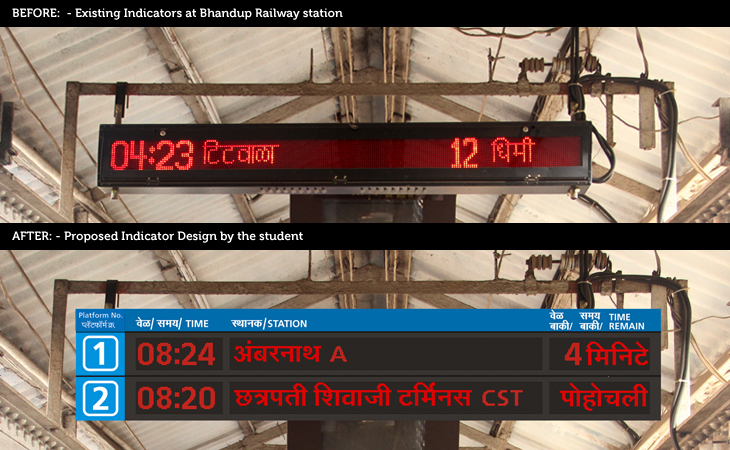 When I used to travel in local trains during my college days, I always felt that I needed more information. While travelling people are confused and always keep on asking each other since there is so much uncertainity in the information on indicators. To begin with I thought about ideas on information visualization, how to manage crowds, how to re-distribute them, etc. But crowds are not in my control, but giving comprehensible information is. So I thought of redesigning the indicator. 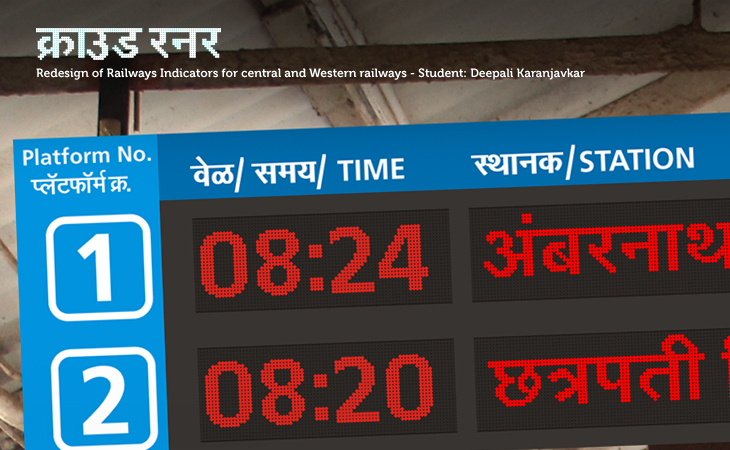 An important piece of information on a railway platform. Tell me one unique indicator problem that you feel you have solved? Abbreviations were not understood and were a major confusion. Karjat has an abbrevation 'S' (south) and Kasara has 'N' (north). Where as Kalyan has K (the starting letter). 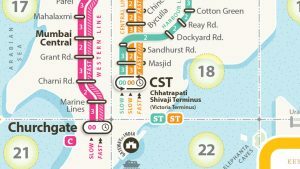 There is Ambernath with 'A' and Andheri on the western line is also represented by 'A'. I solved this problem by having full names as well as abbrevations. Especially the numbers 9 and 12 in the indicator, meaning the number of coaches was difficult for a novice to understand. 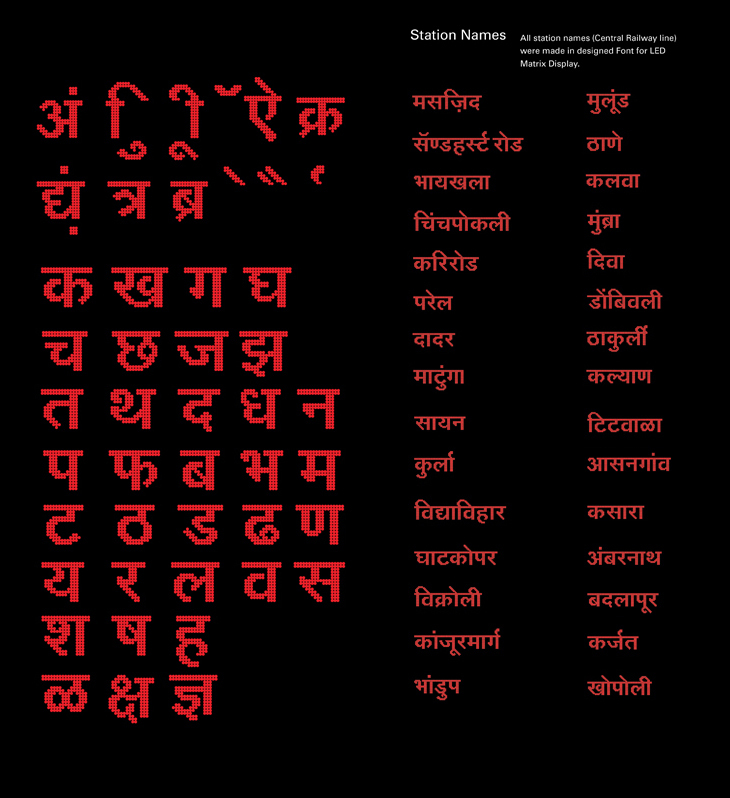 Design of the devnagiri font for the indicator seems to be the major focus of your project Tell us about design challenges faced. Yeha, the earlier font was not readable. 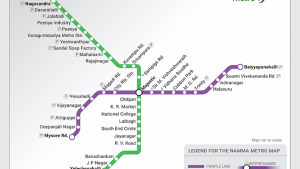 For longer names of the stations, the current design force fits names by squeezing them. 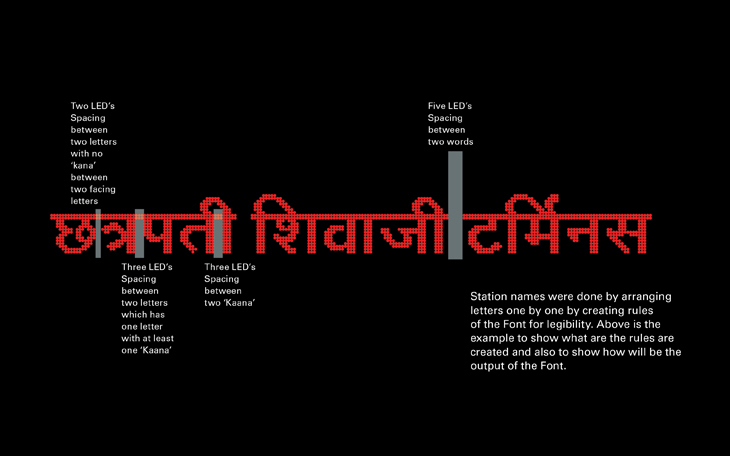 English and Marathi names have no standardization, how to tackle space distribution for LED fonts was the challenge I dealt with. 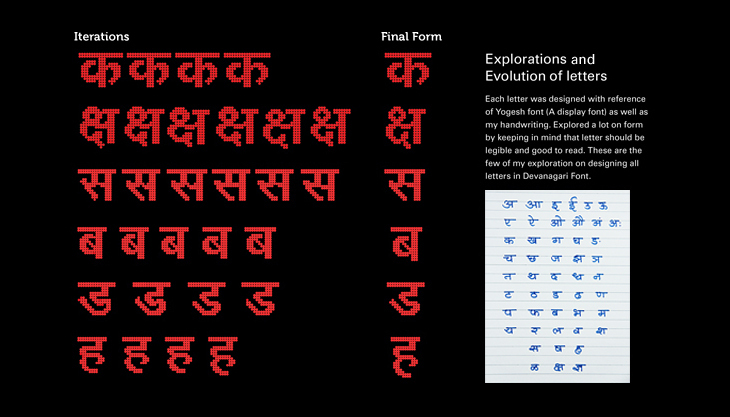 I developed a grid with Yogesh as my base font, the counter space had to be carefully crafted. I developed the font and tested it in several sizes. I also tested it with people and took their feedback by showing them the new indicator designs. I assigned them tasks to check errors and successfull completion. When I brought devangri letters together I adjusted the inter-letter spacing. Now the font is complete. It has 55 glyphs. What are the future plans? what happens to this project does this get implemented? I approached railway authorities and we are waiting for a response. I wish atleast the new font gets implemented.